After the disappointment of finishing fourth in Sochi, Lewis Hamilton made it quite clear at Sunday’s Spanish Grand Prix that he is still Sebastian Vettel’s main competition for the 2017 Formula 1 drivers’ championship. 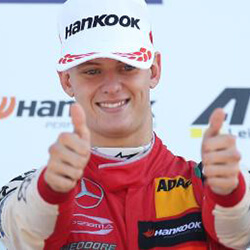 Not only did the British driver win the fifth Grand Prix of the year, held on the Circuit de Barcelona-Catalunya, but he also started in pole position and posted the fastest lap time during the race. 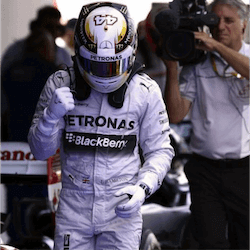 Hamilton’s victory saw Mercedes retain the top spot in the constructors’ championship with 161 points, eight points ahead of Ferrari. 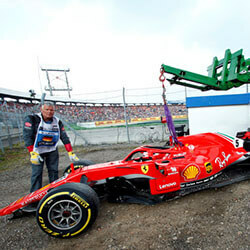 The Barcelona race did not begin well for the three-time world champion; despite Hamilton starting at the front of the grid, a wheel-spin from the Mercedes at the start allowed Vettel to slip past in his Ferrari and hold the lead for 43 laps. But Hamilton’s decision to switch from soft to medium tyres on his first stop, while Vettel remained on softs, may have secured his victory. The Brit flew past Vettel in Lap 44, and retained that lead for the rest of the 66-lap race. Hamilton’s teammate, Valtteri Bottas, did not finish; engine trouble forced him out in Lap 38. Vettel hung on to second place, finishing 3.5 seconds behind Hamilton. 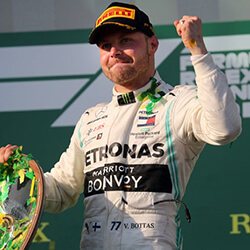 The two remain in first and second place on the drivers’ championship ladder, with the German four-time world champion on 104 points, and his British rival on 98. Australian driver Daniel Ricciardo also provided Spanish Grand Prix thrills for punters at home. He and Red Bull teammate Max Verstappen have been bedevilled by mechanical failures all year. Fuel line and brake problems, for example, forced Ricciardo to retire in both Melbourne and Sochi. Verstappen, despite a third-place finish in China, also succumbed to brakes in Bahrain, and in Barcelona his collision on Lap 1 with Vettel’s teammate, Kimi Raikkonen, put both drivers out of the race. 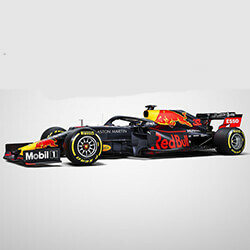 So it was a huge relief, to both fans and the Red Bull team, when Ricciardo finished third in the Spanish Grand Prix after starting sixth on the grid; his first visit to the podium in 2017. With Bottas on 63 points on the drivers’ ladder and Raikkonen on 49, Ricciardo and Verstappen are not too far off, on 37 and 35 points respectively.